Take a look at some of must-have trends in jewelry that every bride-to-be needs to make a note of. With the wedding season almost upon us, brides-to-be are in the midst of frenzied preparations that include booking venues for the various events, preparing guest lists, sending out invitations, booking the caterers, deciding menus, finalising the events, fittings, getting in shape to fit into those outfits and, last but definitely not the least, the jewelry. After all, no bride wants to look shabby or out of style on the one day that basically celebrates her and is one of the most important days in her life. And so, as must everything else, the jewelry must enhance her beauty, her elegance, her glamour and her sense of style. 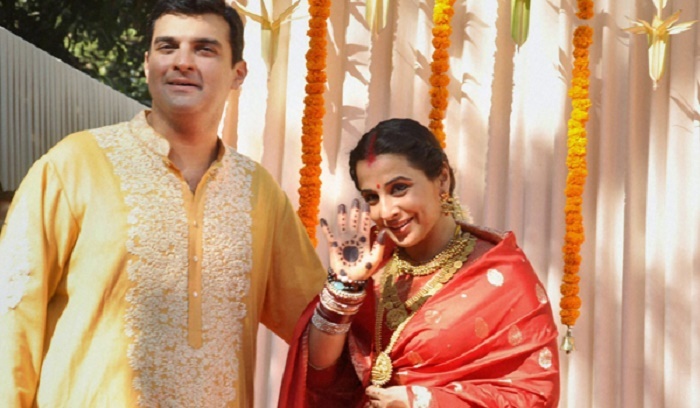 Now, the connection between Bollywood and weddings is undeniable. 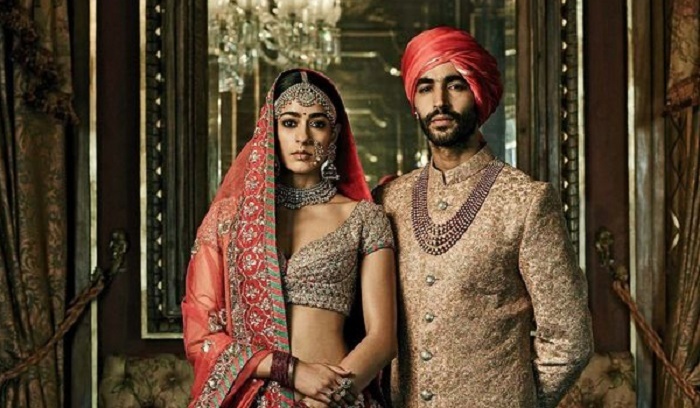 The influence of Bollywood can be seen in every aspect of a wedding right from the music in the sangeet and the baraat to the outfits and accessories worn by all. Can you imagine a mehndi that doesn’t have at least one film song about the mehndi? Needless to say, the bridal jewelry too is heavily influenced by Bollywood. So what are some of the must-see, must-have trends in jewelry that every bride-to-be needs to make a note of? We take a look. Tradition never really fades away in a country such as India, and nowhere is this more evident than in our movies and even our celebrity weddings. Take, for instance, the nath worn by Karisma Kapoor at her wedding, or even the traditional kundan jewelry worn by actresses Shilpa Shetty and Aishwarya Rai at their widely publicised nuptials. Styles such as jadau and meenakari in gold, diamonds, rubies and so on complement all styles and colours and make for an absolutely stunning bride. Even the South Indian style as sported by Deepika Padukone in Chennai Express from the cummerbund to the maang tika and coin necklaces reiterates the place traditional jewelry holds in Bollywood and our hearts. Big is beautiful. This seems to be another mantra that Bollywood heroines have embraced in their movies, red carpet appearances and even bridal fashion shows. Heavy chokers with sparkling diamonds, emeralds and rubies, heavy gold bangles and even heavier earrings and waistbands loaded with large gems are in and complement the look of the bride who can carry them off. Aptly shown off by Kalki Koechlin and Dia Mirza at various events, this jewelry does indeed make a ‘statement’. Want to go off the beaten track a bit? Looking for something different from the usual maang tika? Check out the looks sported by Kalki Koechlin and Raveena Tandon at various jewelry and fashion events. A ‘nawabi’ style half maatha patti or an oversized maang tika can make a style statement difficult to ignore or forget and add an air of elegance and whimsical charm to any bride’s glory. Pearls are rapidly gaining the interest of our heroines as is evidenced in Sonam Kapoor’s recent appearance in a fashion show wearing strands of pearls looped around her shoulder several times. You can team a pearl necklace up with a more colourful one or wear heavy pearl drops with gold jewelry. The timeless elegance of pearl jewelry ensures that it gives a classic look to pretty much anything. Not all brides will be comfortable with heavy sets and ostentatious pieces. So, if you want something sleeker, then consider jewelry in platinum encrusted with diamonds, crystals or any other stone you prefer. You can match these to your trousseau or wear them for other functions such as the sangeet or even the reception. Priyanka Chopra and Sonakshi Sinha have sported the look at various events. Feeling unconventional? Want to experiment, perhaps? For the bold bride who can pull it off a mix ‘n match can make the ultimate style statement. From bangles to rings to necklaces, you can mix elements such as gold, pearls, kundan and so on to create a unique look which will leave everyone holding their breath in wonder. Stack up the jewelry and watch everyone gasp in admiration. Deepika Padukone’s use of a longer multi-stranded pearl necklace with a smaller diamond one is the perfect example. What bride doesn’t want to look regal and elegant on her wedding day? One way to accomplish this is with the aptly named Rani Haar. The heavy, multi-stranded necklace, which can extend anywhere from the chest to the waist, has been sported by actresses such as Sridevi and Madhuri Dixit. 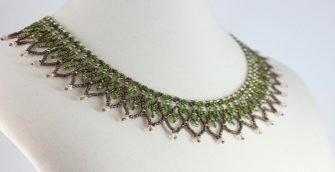 The necklace goes with anything – from an ornate outfit to a plain sari – and is therefore perfect for any bride. 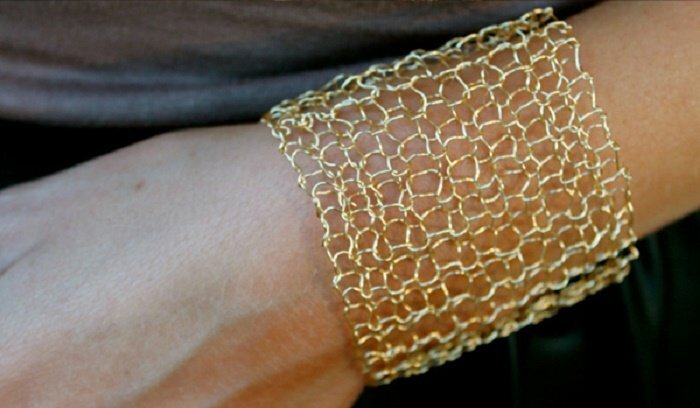 For those who are looking for a chic look this season, mesh jewelry is the perfect answer. When combined with an elegant outfit mesh jewelry can give the wearer a truly regal yet, at the same time, swank and trendy appearance. If you make sure that you are coordinating it with your outfit, you can choose from an array of gold, diamond, platinum and many other types of mesh jewelry. Sonam Kapoor sports one such necklace with her usual élan. This season the crystalline look is in. The versatility of crystals makes them very adaptable to whatever look you are looking to sport. Be it vibrant colours or pastels, whether you want them on your outfit or as necklaces, bracelets, earrings and so on, crystals are adaptable. 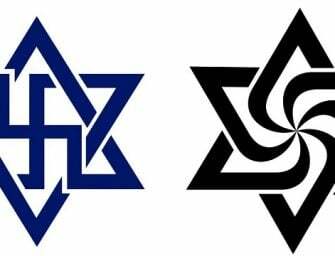 All in all, they tend to add a magical charm that is hard to find. Look at Katrina Kaif and Bipasha Basu if you want to know what I mean. Diamonds are forever. This cannot be denied and is evidenced in some of the most beautiful pieces of Indian jewelry. Be it traditional kundan and polki or heavy diamond sets or sleek pieces or combinations with gold, platinum and even pearls, rubies, emerald and sapphires, diamonds cater to all tastes. They can add an element of bling or sophistication or royalty – whatever your heart desires. Sported by every actress since the dawn of cinema, they are an element no bride can or will do without. 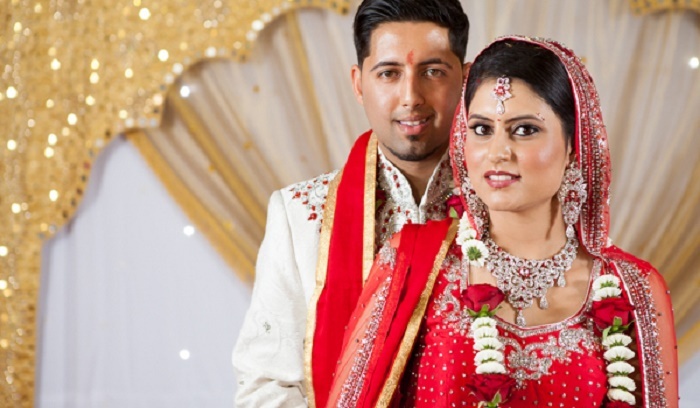 Bollywood has been the go to destination for Indian brides for a long time. 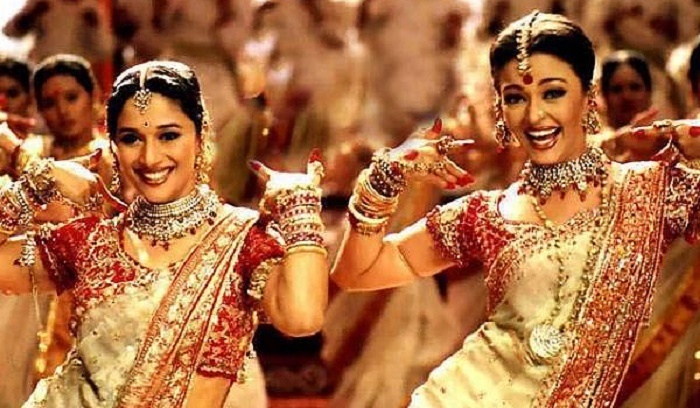 Whether it be Madhuri Dixit’s outfits and jewelry in Hum Aapke Hain Kaun or Aishwarya Rai’s traditional Rajasthani look in Jodha Akbar or Shilpa Shetty’s gorgeous blue wedding outfit in Dhadkan or the chandelier earrings sported by Deepika Padukone in Ram Leela, the influence that Bollywood has on the Indian bride is profound and cannot be discounted. 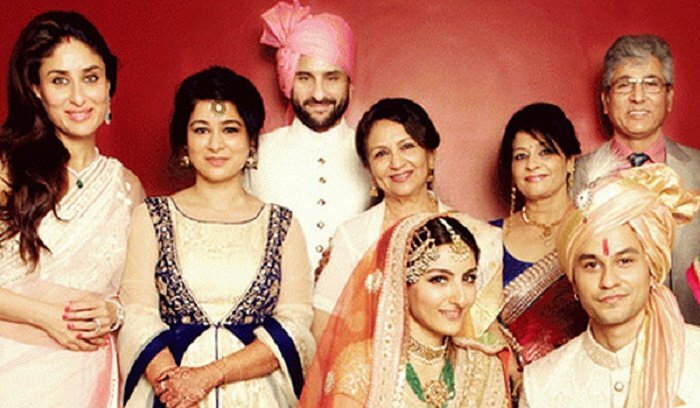 This can also be evidenced by the fact that Bollywood designers are often called upon to dress many scions of prominent Indian families for their weddings. Jewelry is the ultimate shringar for an Indian bride. And where better to go to get the perfect look than the largest film industry in India?